The OutDoor show in Friedrichshafen, Germany, is Europe's leading trade fair for outdoor gear. All the brands and manufacturers are there, and so are our spies from Trail, Country Walking and Trail Running magazines. Here we'll list some of the new gear that's got them interested as and when the reports come in, so keep popping back to check out the page! We'll also look to add more detail when we can. Ok here's a biggie that has really impressed Graham Thompson of Trail and Nick Hallissey of Country Walking. Jack Wolfskin's new rucksacks use a system called ErgoDynamicSystem. All seams are taped and the interior is a bag within a bag, thus fully waterproof. The whole lid and front fold down and the main section is >accessed via roll-top. Even better is the clever hip-belt. The belt is completely removable via Velcro and adjustable to your preferred size, then reattaches firmly with two sturdy Velcro wings at the side. Plus there's one-pull height and width adjustment. Really really impressive. Probably my highlight so far! The brand new Keen sandal, the Uneek - the upper is made from two cords only. Fairly extraordinary and looks amazing. Love KoziKidz stuff (from Yorkshire via Sweden) and this Smidig padded jacket (£50) is cute in a box. 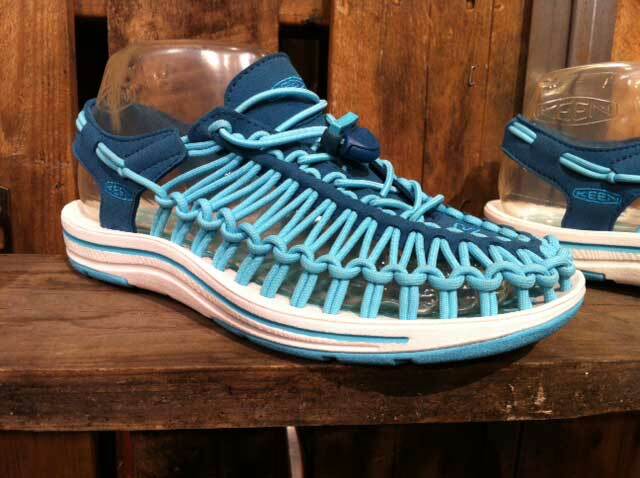 One of the biggest stories here is Gore-Tex Surround, the new footwear technology which vents from the underside of your foot. 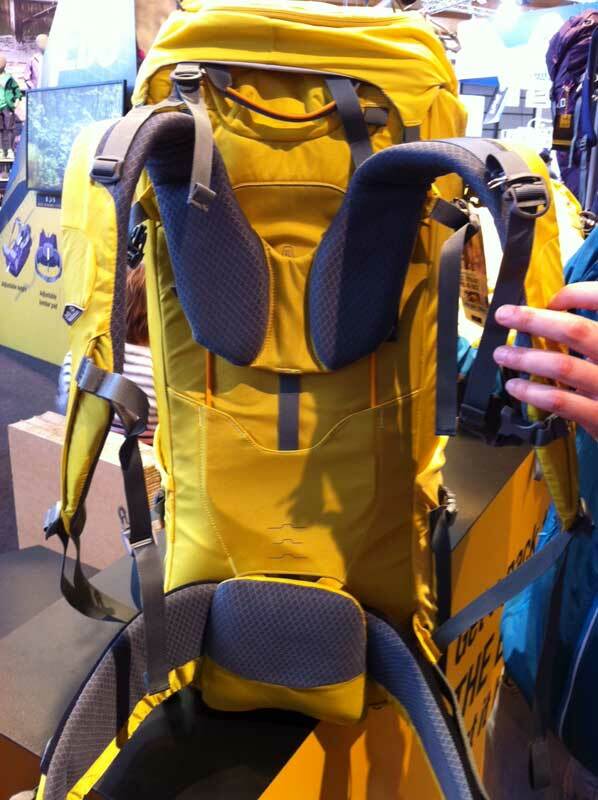 Many of our favourite brands are going to be using it next year but here is La Sportiva's version, the Core. 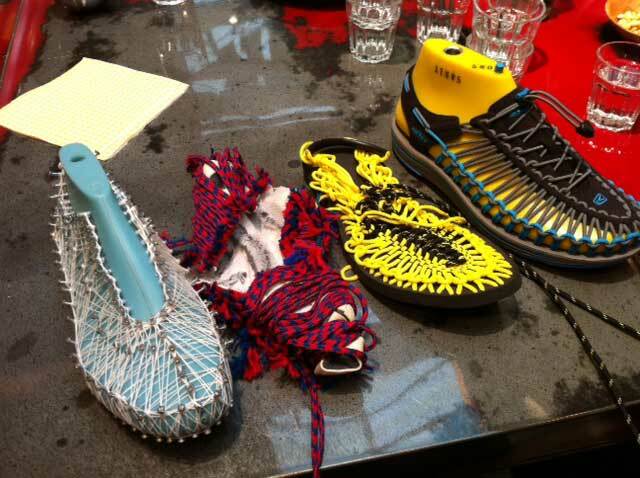 Comes in shoe, mid and high versions. This is the high, £170. Feels incredibly flexible. Adventurer child carrier £100. Sequel to last year's Ranger, the world's lightest-frame carrier. This one adds more features including a fold-flat stand. Also the Travel Trekker 75+15. £200. Big wide pull-handle so it runs behind you rather than out to the side, banging into people at the airport. And huge wheels which are happy on rocky ground. Finally a duffel called the AT Kit Bag 60, £70. Has a ripstop outer >with TPU coating. MSR debuts minimalist flyLite tent for weight-conscious backpackers. The single-wall tent design efficiently utilises two standard trekking poles to save weight. Read more HERE.